The Digital Aquatics Reef Keeper Lite is a great little aquarium controller that makes programming very straightforward and easy. 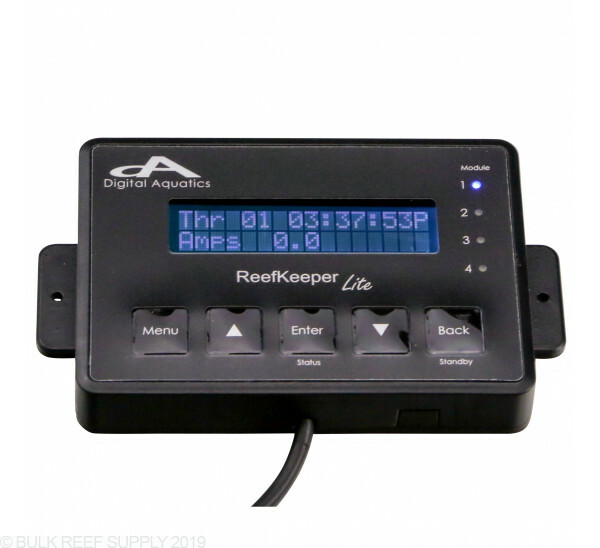 The options are somewhat limited compared to other controllers on the market, however if you are looking for a simple, easy to use controller, with the availability to be expanded upon, the Reef Keeper Lite units are some of the best. 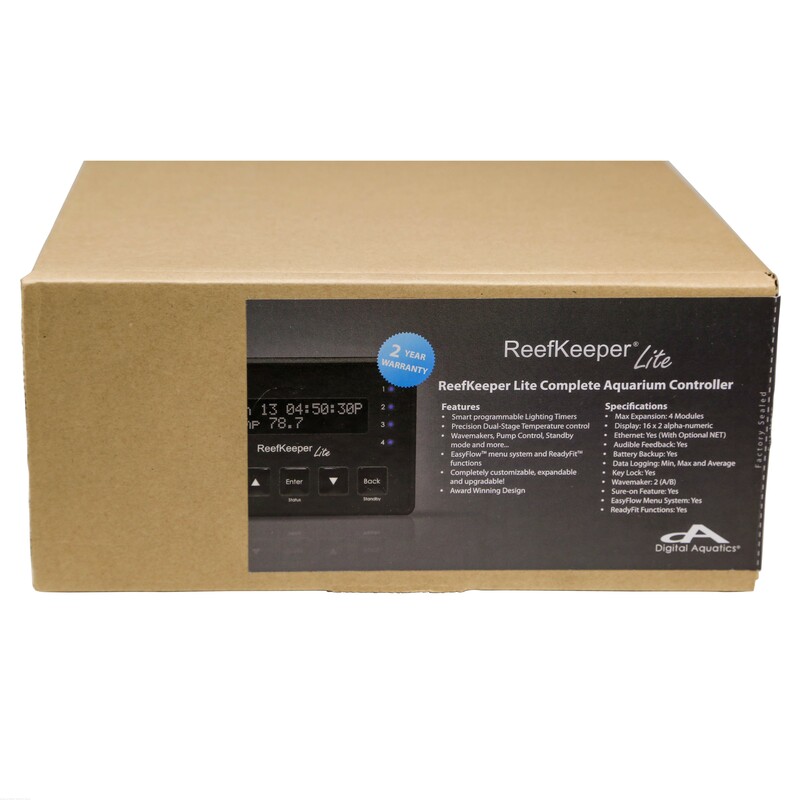 Digital Aquatics ReefKeeper Lite or RKL comes in 3 different levels. 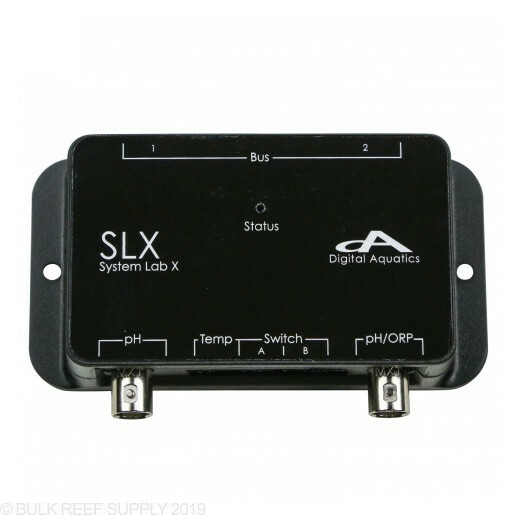 They are small expandable and perfect for nano tanks, beginners, and everyone looking for a mid level controller. 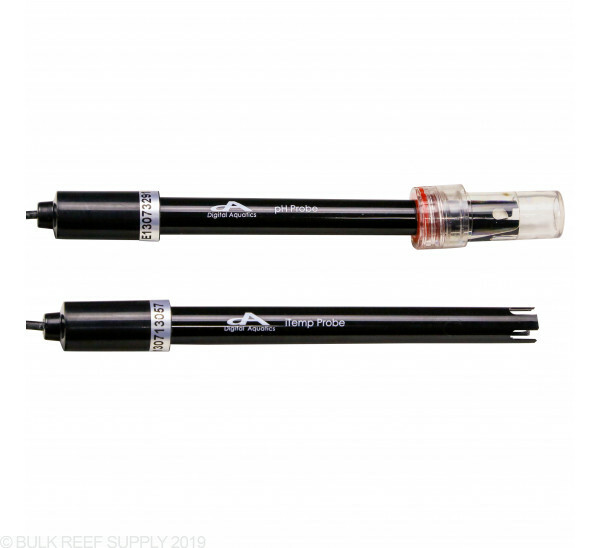 ReefKeeper Lite's are easily the best value controllers on the market. 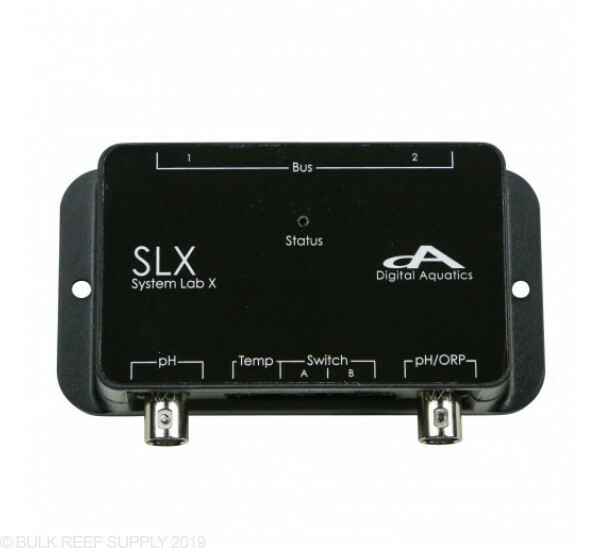 The ReefKeeper Lite or RKL is an all new completely redesigned controller from Digital Aquatics. These midlevel controllers come in three different levels. Check our quick comparison table below for the differences between each. 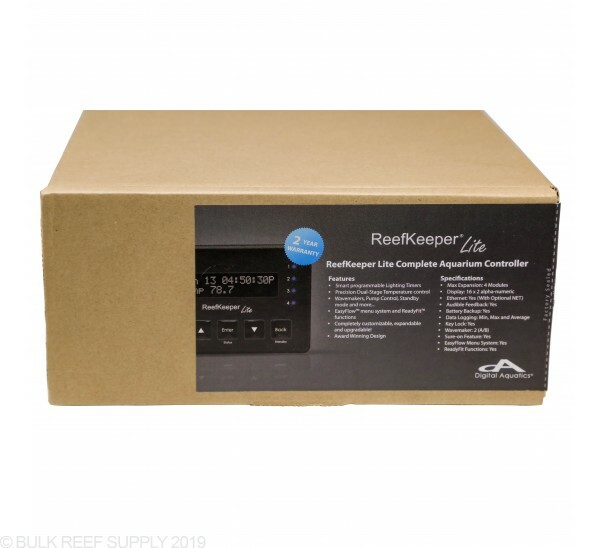 Please note that some of the advanced modules and features of the ReefKeeper Elite are not available for the RKL. 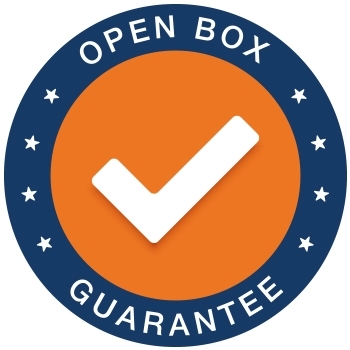 Expandability: Every RKL can interface with up to 4 modules in almost any configuration. Data reporting: The RKL can report the min, max and average over the last hour for all in and outputs. Improved 5 button interface: All ReefKeeper Lite's have a 5 button interface. Traditional entry level controllers feature only 3 button interfaces. 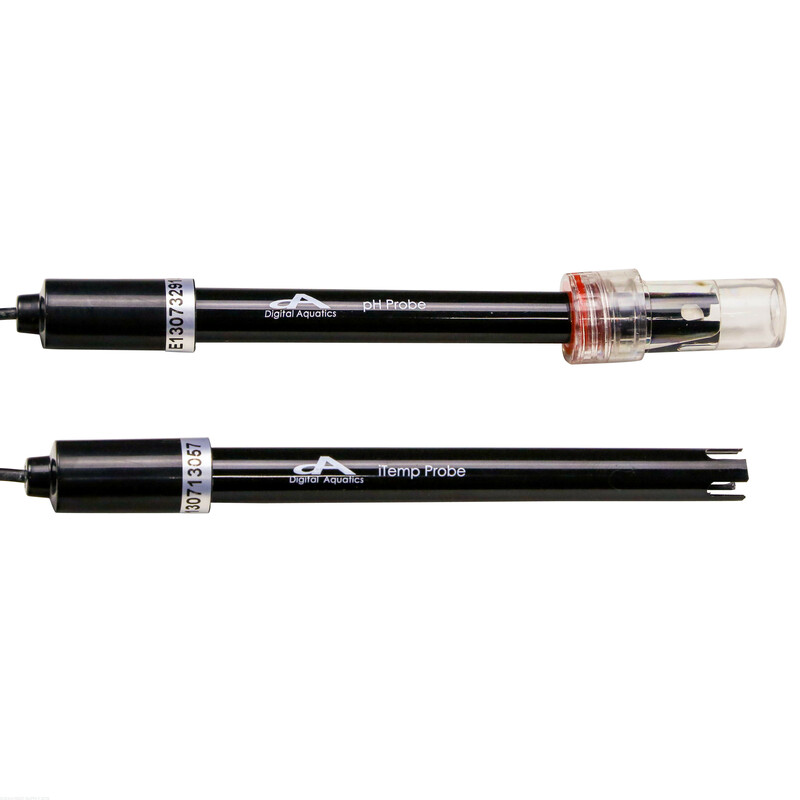 Wavemaker: ReefKeeper Lite's have two wavemaker cycles that control separate pumps to simulate wave motion. Each cycle can be timed and the cycles can be turned off during night mode to give a calming effect. 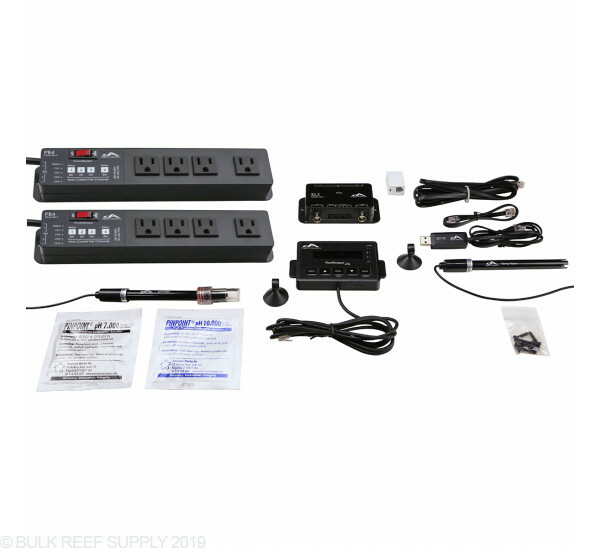 Programmable standby feedback mode can be set from 1 to 59 minutes during which the ReefKeeper Lite shuts down selected powerheads and pumps. This allows for calm feeding condition and is useful for conducting maintenance. Head unit easily mounts in a number of professional custom looking ways. 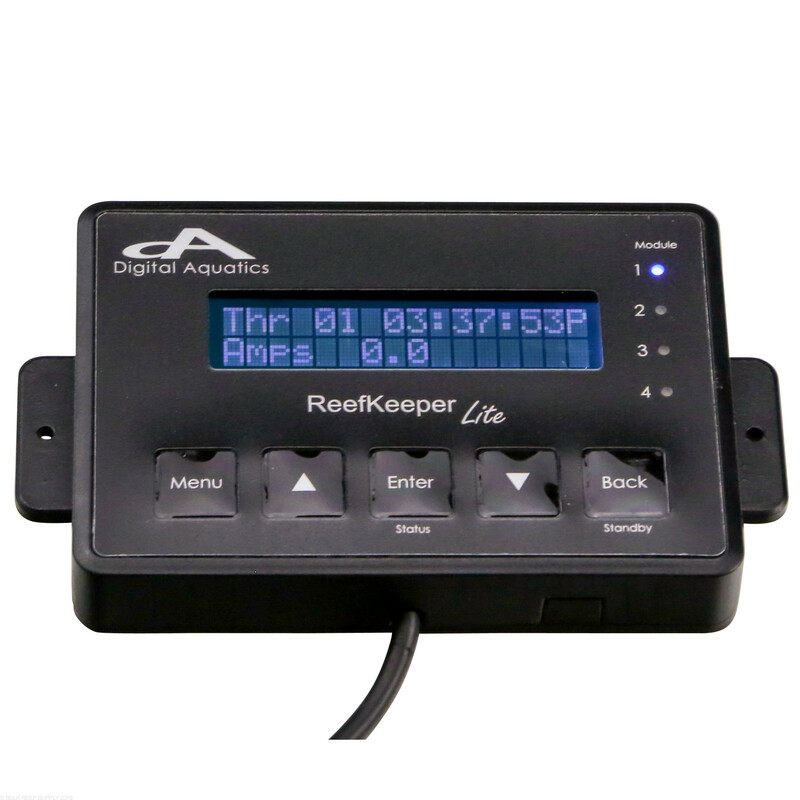 Internal battery backup keeps time and settings of the ReefKeeper Lite safe for years. 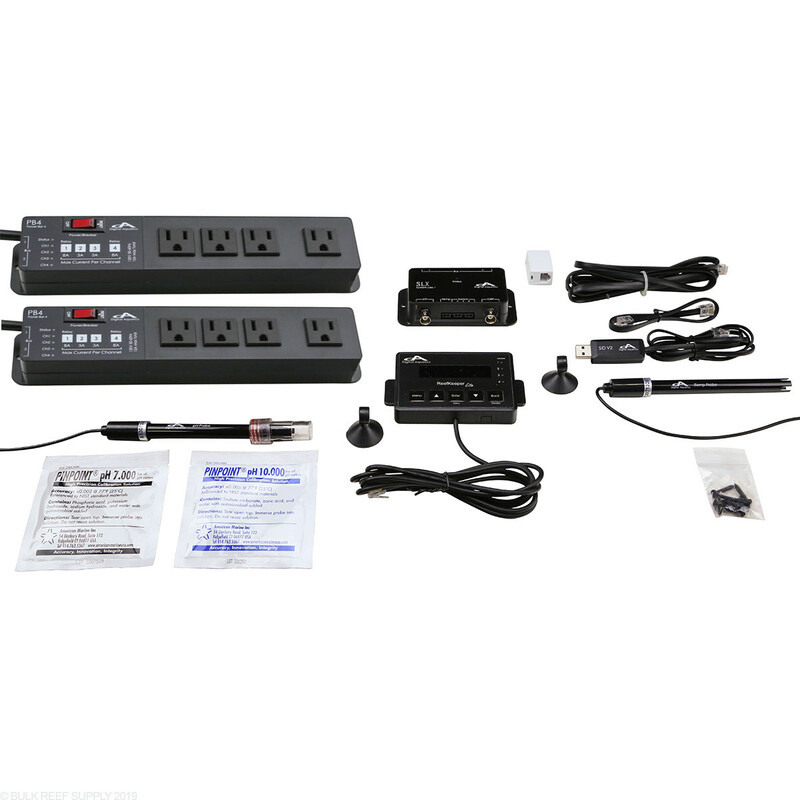 Power outages will not require the adjustments that other light timers need after power is restored. Simple menu configuration has an simple interface that allows for easy setup and navigation.